Driveway Paving Adds Instant Style & Curb Appeal To Any Home. Your driveway is the first thing that people see when they pull up to your home – what kind of impression does yours leave? Cracked and faded old pavement with slopes and depressions might not deliver the right message. 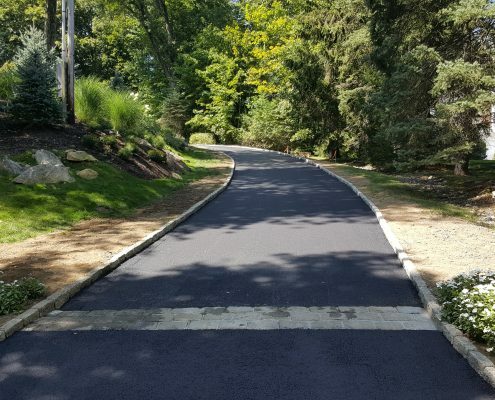 A driveway that was paved well and is well-maintained tells guests, passers-by and even potential homebuyers that the rest of your home is also well-maintained. 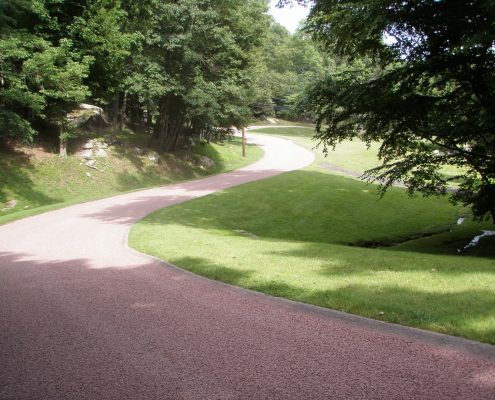 Asphalt Driveways Or Oil & Stone – Which Is Right For You? 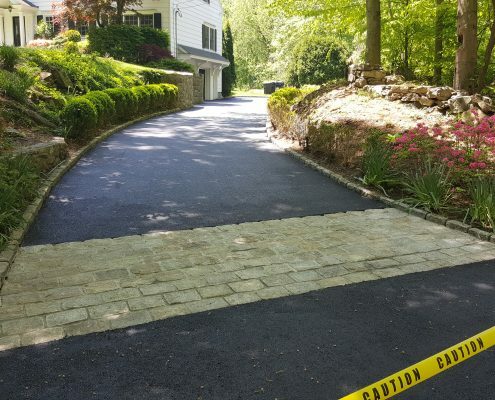 Blacktop driveways are a standard in the Northeast because they are strong enough to handle even our most ferocious winters. Known for its unique and decorative style, oil and stone is also a regional favorite and has become an increasingly popular choice for homeowners in Westchester and Fairfield over the past few decades. Which finish is right for you? 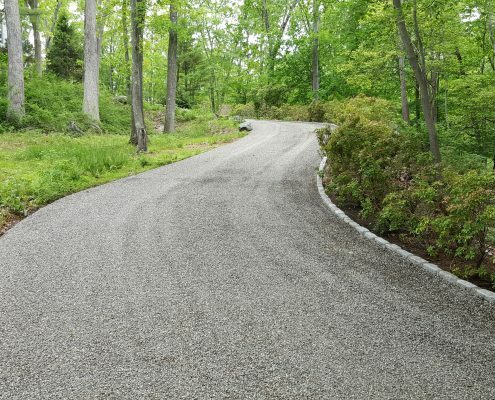 Our driveway paving experts can walk you through the benefits of each and help you make the best decision for your specific needs. Ridge Paving Can Install A New Driveway Or Repair Your Existing One. 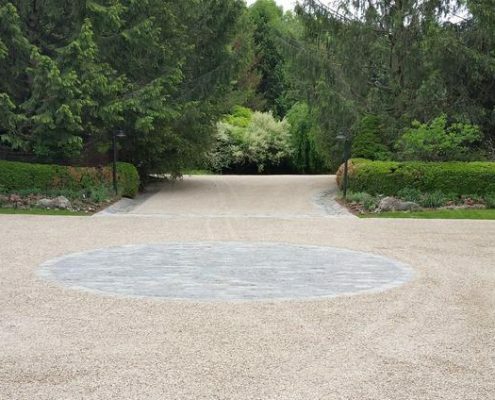 With innovations in paving technology like infrared heating machines, there are now more ways than ever to repair and resurface your existing driveway. Infrared heating allows us to re-heat the surface asphalt to do minor repairs. 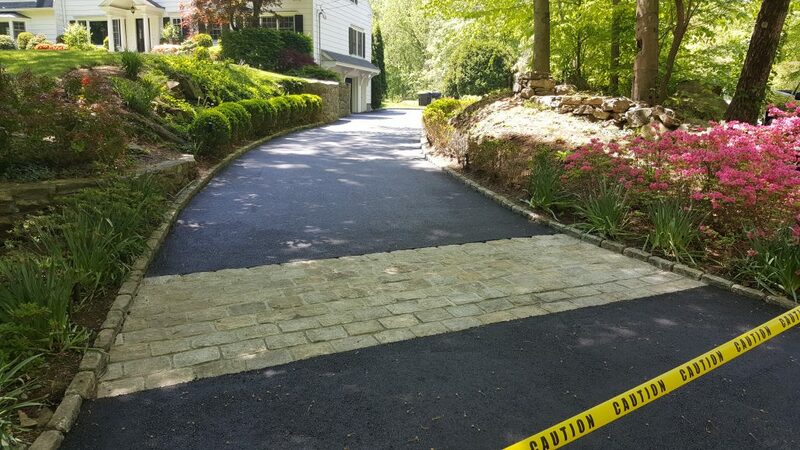 When damage goes beyond the ability to repair, we can reclaim the pavement from your existing driveway and use it to strengthen the base layer for your new one! Enjoy Working With A Team Of Professionals Who Treats Your Home Like Their Own. 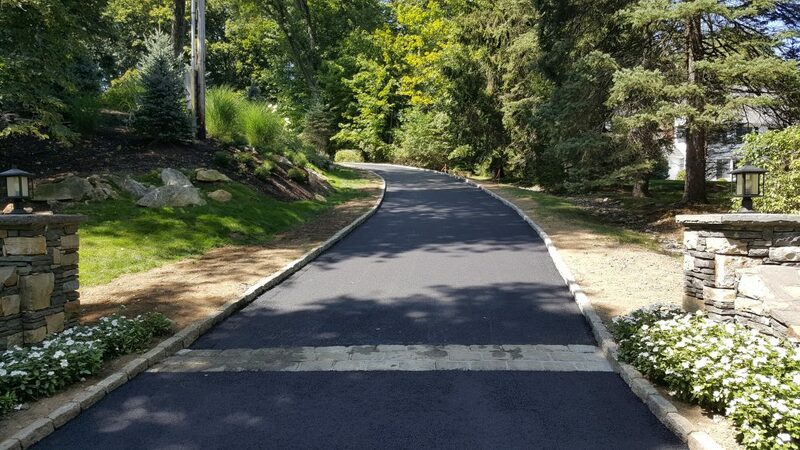 Since the first driveway we paved in 1956, Ridge Paving has been known for outstanding quality and a commitment to treating people right. 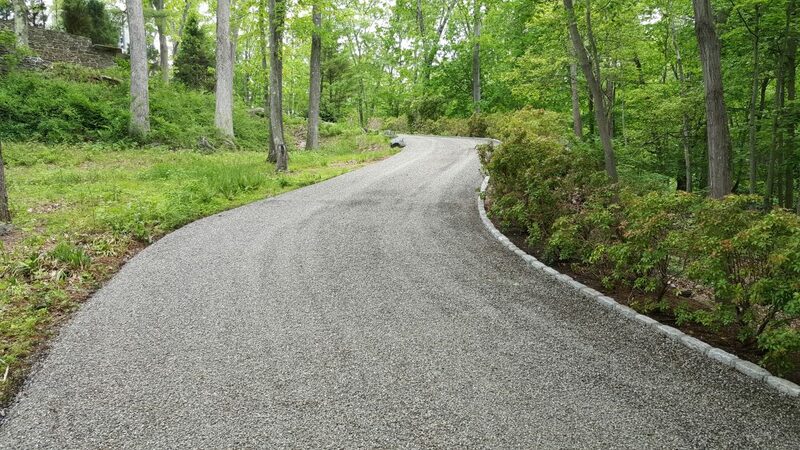 When we’re working on your driveway, we take extra precautions to ensure the surrounding landscape and property do not get damaged in the process. Our customers appreciate that we go the extra mile to take care of their homes! Ready To Get Started With A Free Driveway Paving Estimate?